Pre-portioned cookie dough, cheesecakes, pumpkin and red velvet rolls, pre-baked braids, cinnamon rolls, and many other goodies; this is the highest quality frozen food fundraiser in the state of Colorado. Our groups and their customers find that our Place & Bake cookie dough is an incredible value, with the same volume and weight, but way more convenient! All orders are tallied, sorted, and pre-packed in each group member's name before delivery, saving you precious time. Campaigns are 2-3 weeks, and profit is guaranteed at 40% for ALL items. No shipping/set-up charges, no minimums, and no change in profit based on your group size or order. 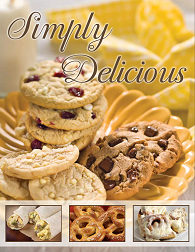 15+ items, including 9 cookie dough varieties, braided bread, red velvet and pumpkin rolls, churros, cinnamon rolls, pretzels, and cheesecakes increases your profit over selling 'just cookie dough' or 'just braids'. Our truck delivers to inside your building, ensuring your customers the highest quality. Frozen food fundraising works year-round. Our vendor has 25 years experience and over $8 million in profits raised for non-profit organizations. Fill in the contact information below and we will quickly contact you to discuss your organization's goals. We are eager to help and aim to astound you with our customer service. You can also give us a call at (719) 640-2056. The chart below illustrates the 40% profit (approx. 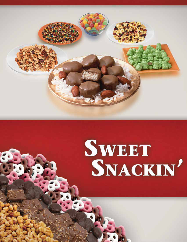 $5 per sale) your group can make with our frozen foods fundraising program. Click on brochure to view it’s contents. "Thank you for everything yesterday and throughout this entire process. My two boys came home smiling from ear to ear about the VIP Lunch. My 2nd grader was also quite excited about the ice cream surprise as well! Who needs prizes when you have a VIP Lunch! It has the other kids talking about how they can earn it next time." "Pre-sorted cookie dough saved our staff and volunteers an entire day of labor. Our school will never sort again! Thank you, James." 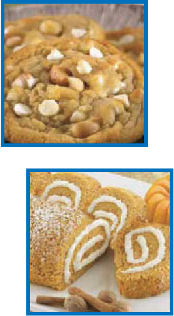 "BOGO Blue's pre-sorted cookie dough fundraisers require our school only to match money to orders-everything else from set-up, to tabulation and reports, to delivery, are a breeze. We feel extremely lucky to have found you, James." "Thank you, James. It was a great partnership-see you next spring!"